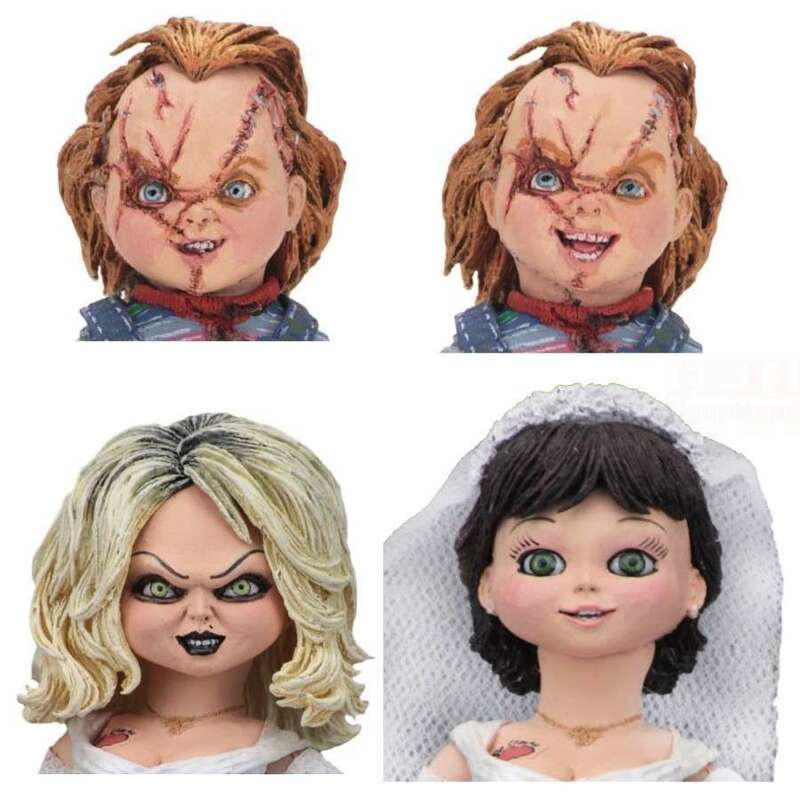 Being the most notorious doll in the world, it's time for Chucky to go back on the rampage since his old flame Tiffany rescued his parts from a police impound and breathed new life into him and now he has met his match, Tiffany has marriage in mind. 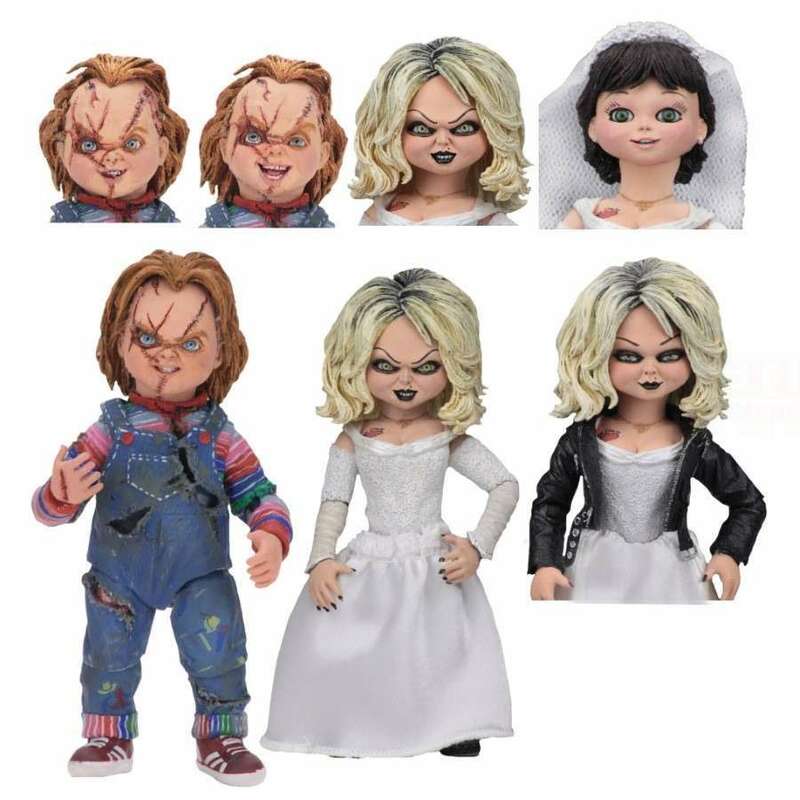 Included in this Ultimate action figure 2-pack are Chucky and Tiffany and Tiffany comes complete with a fabric skirt and also has an extra set of removable arms to allow her to wear her iconic leather jacket. 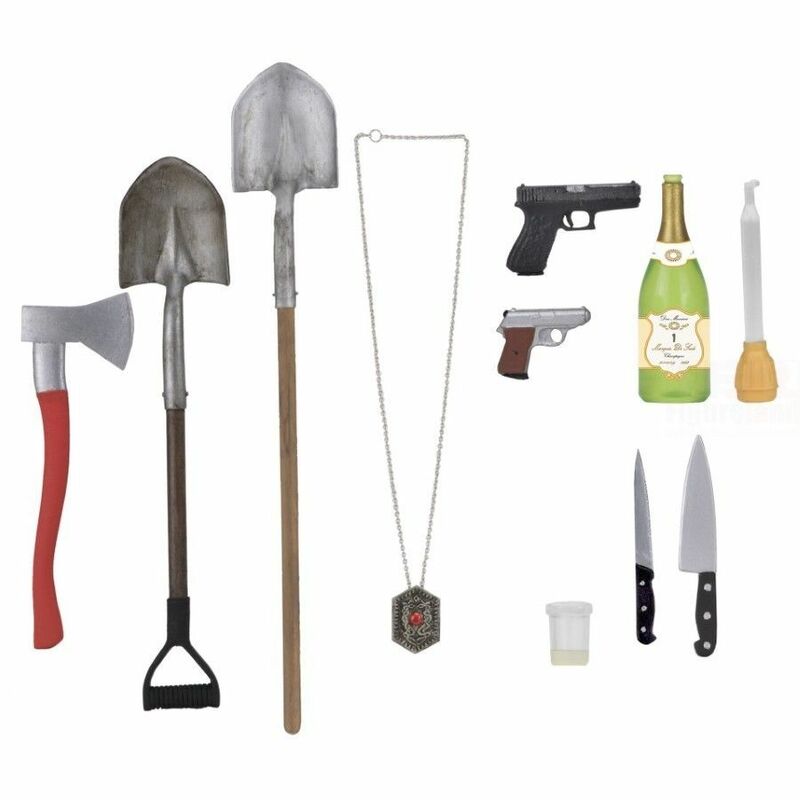 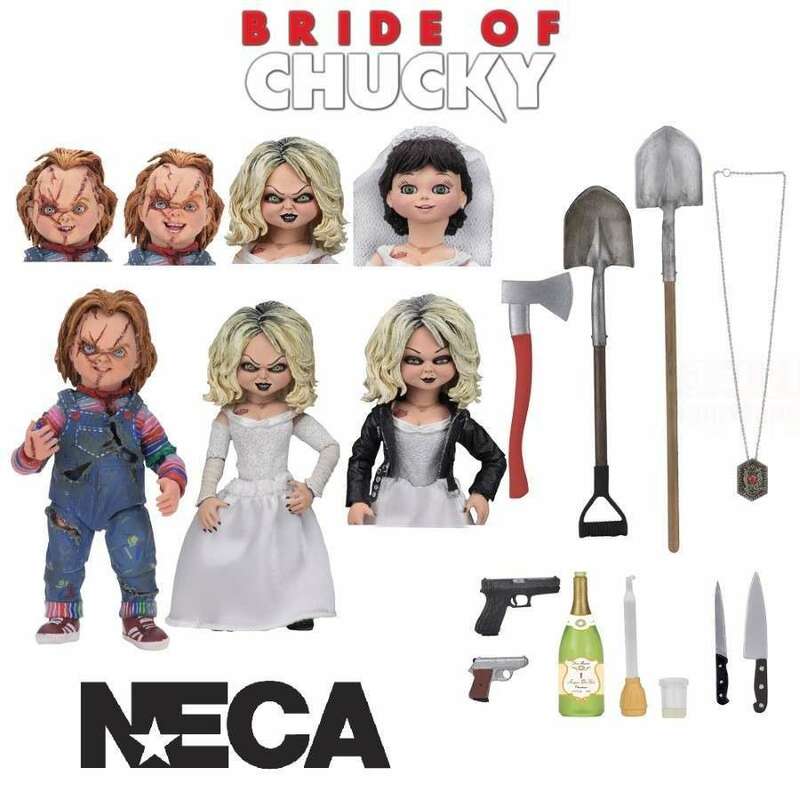 There's also a ton of additional accessories so you can recreate your favourite moments from the movie’s best scenes including 6 interchangeable heads, 2 shovels, 2 pistols, 2 knives, a bottle, baster, necklace and more! 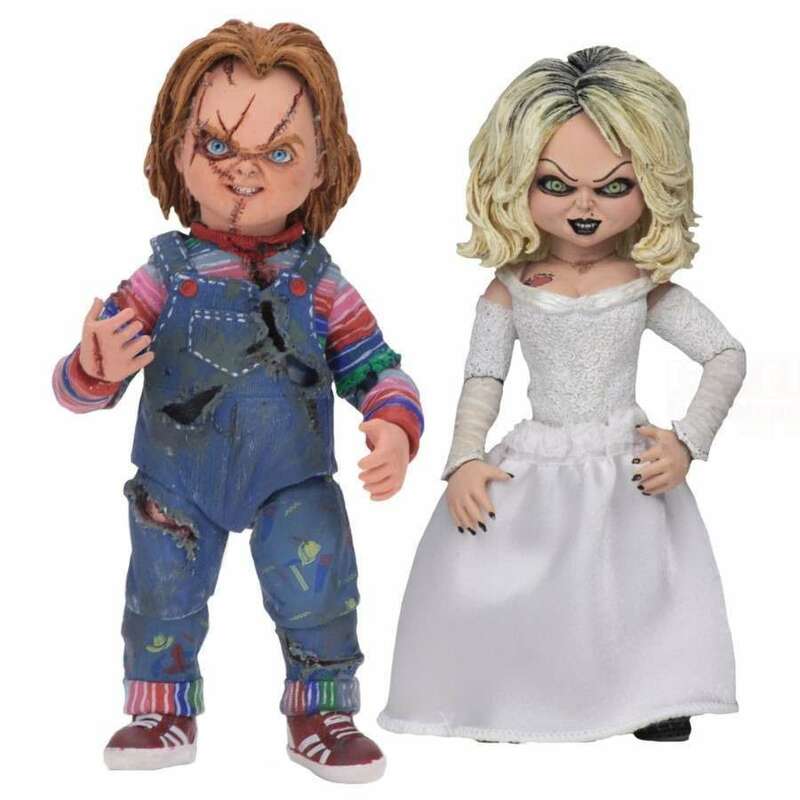 Both figures stand at 4″ tall in 7" scale and have over 20 points of articulation.